One of the things on my Mom's Christmas list was the Season 13 DVD of Poirot. We're both big fans and these are the final Poirot episodes, as the series has just ended. I ordered the DVD from Amazon along with a couple other items. And as Christmas approached, the other items, which shipped separately, arrived but Poirot did not. A few days before Christmas, I checked to see the status of the order and was horrified to find that per Amazon, it had been delivered a week earlier. We've had some packages go missing at my apartment complex, but the DVD by itself would have fit in my mail box and wouldn't have been left out where it could be snatched. To make things worse, there was no longer enough time to reorder it in time for Christmas. I reported this to Amazon and to my amazement, they replied that they would assume the item had been lost in the mail and would process a refund immediately, which they did. Even better, my local Barnes & Noble had the DVD in stock (albeit a bit more expensive), so Mom got her Christmas gift. They appreciate my honesty. There's something sad about that. 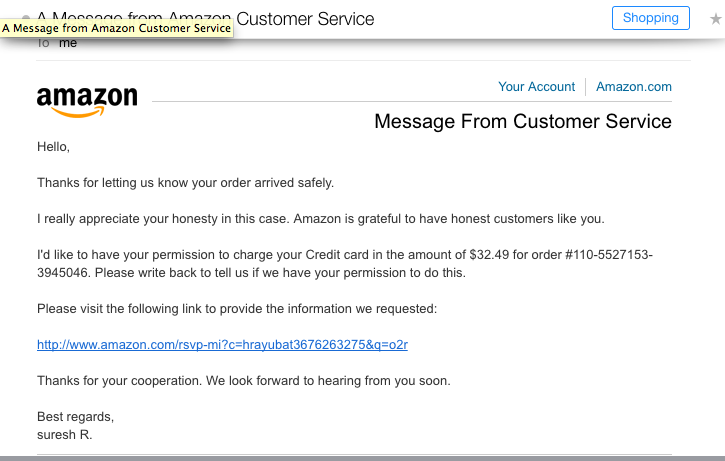 Always a pleasure doing business with Amazon.